Zubaydah was waterboarded “at least 83” times in total and “2–4 times a day…with multiple iterations of the watering cycle during each application.” Zubaydah eventually became so “compliant” that “when the interrogator ‘raised his eyebrow without instructions,’ [he] ‘slowly walked on his own to the water table and sat down.’ When the interrogator ‘snapped his fingers twice,’ Abu Zubaydah would lie flat on the waterboard.” Zubaydah was at times described as “hysterical” and “distressed to the level that he was unable to effectively communicate.” His “[w]aterboarding sessions ‘resulted in immediate fluid intake and involuntary leg, chest and arm spasms’ and ‘hysterical pleas.’” In “at least one waterboarding session, Abu Zubaydah ‘became completely unresponsive, with bubbles rising through his open, full mouth’ and required ‘medical intervention.’” He spent 266 hours in the coffin sized box and 29 hours in a small confinement box. Emails (the names of the senders and receivers are redacted), described Zubaydah’s treatment as “visually and physically very uncomfortable" for CIA personnel, something that “profoundly affected…some to the point of tears and choking up,” and it was noted that two or three personnel would elect to be transferred if it continued. 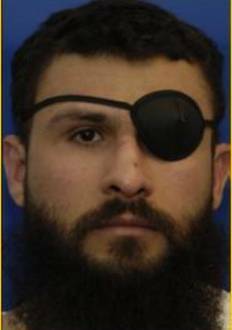 On August 10, 2002, the CIA team told headquarters it was “‘highly unlikely’ that Abu Zubaydah possessed the information they were seeking.” They also said they thought they were “approach[ing] the legal limit” in his interrogation, which prompted Counterterrorism Center Chief Jose Rodriguez to “[s]trongly urge that any speculative language as to the legality of given activities…be refrained from in written traffic.” Rodriguez said this language was “not helpful.” CIA headquarters told the team to continue the interrogation.